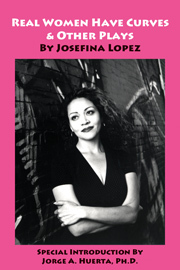 Josefina López is best known for authoring the play and co-authoring the film Real Women Have Curves, a coming-of-age story about Ana, a first-generation Chicana torn between pursuing her college ambitions, a personal goal, and securing employment which is a family expectation. Along the way, Ana confronts a host of cultural assumptions about beauty, marriage and a woman’s role in society. Although Real Women Have Curves is López’ most recognized work, it is only one of many literary and artistic works she has created since her artistic career began at 17. Born in San Luis Potosi, Mexico in 1969, Josefina López was five years old when she and her family immigrated to the United States and settled in the East Los Angeles neighborhood of Boyle Heights. Josefina was undocumented for thirteen years before she received Amnesty in 1987 and eventually became a U.S. Citizen in 1995. 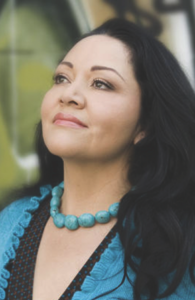 Even though she is best known for the success of Real Women Have Curves, Josefina has had more than 80 productions of her plays throughout the United States. In addition, Josefina also paints, writes poetry, performs, designs, lectures on writing, Women’s Studies, and Chicano theater. She currently resides in Silver Lake, and is the founder of “Casa 0101 Theater Art Space” in Boyle Heights, where she teaches screenwriting and playwriting and nurtures a new generation of Latino artists. Josefina is actively working to create an Artist District in Boyle Heights where theater, arts, music can flourish and create opportunities for the many talented artists who reside in Boyle Heights or grew up in Boyle Heights and want to return to contribute. 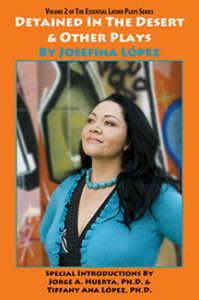 Josefina is presently developing the musical version of Real Women Have Curves. Her first novel titled Hungry Woman in Paris came out last spring. She wrote a play to protest SB1070 titled Detained in the Desert, which she is currently making into a film. She is working on her next novel Summer of San Miguel and opening a cultural center in Boyle Heights where she plans to continue celebrating women and Latinos! For more information please go to www.josefinalopez.com, www.hungrywomaninparis.com & www.casa0101.org.